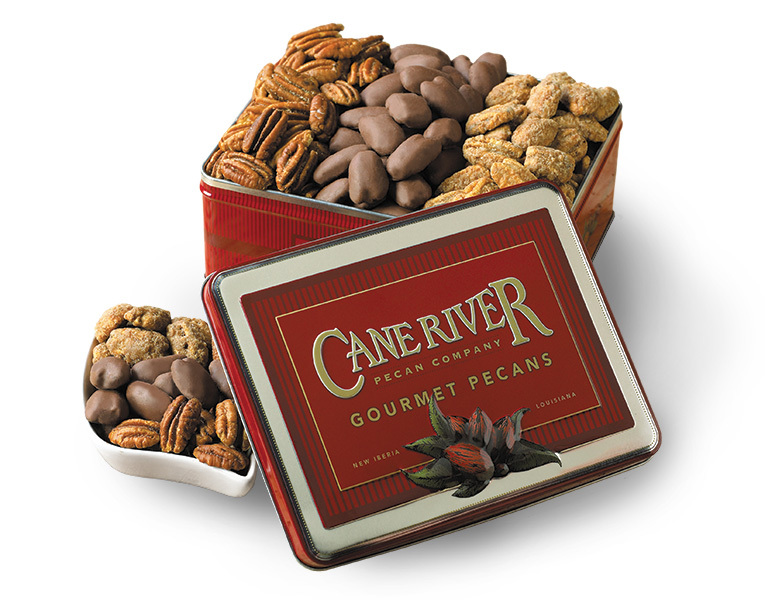 Pecan Gift Box Sampler, 18 oz. 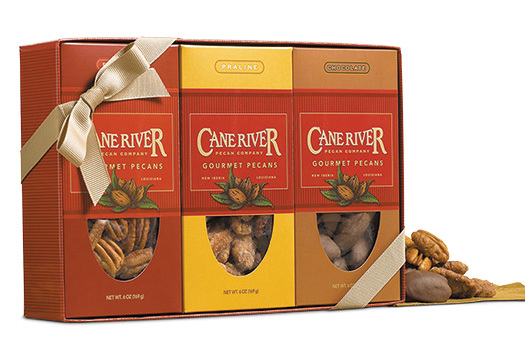 Executive Pecan Trio Assortment 22 oz. Here's a thoughtful and delicious gift your business associates will long remember. 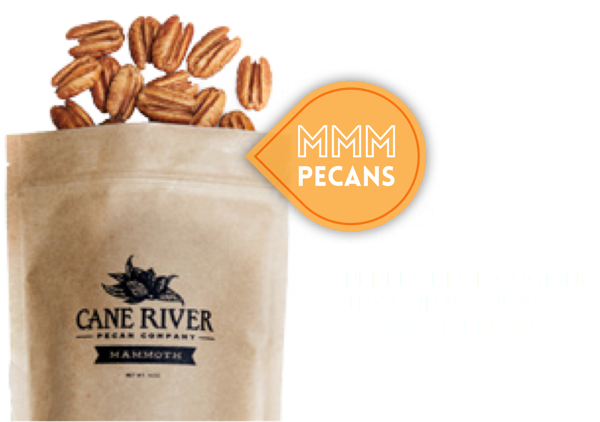 This flavorful assortment of Mammoth pecan halves includes generous portions of Roasted & Salted, Milk Chocolate Pecans and Praline Pecans...our three most popular snacking pecans. 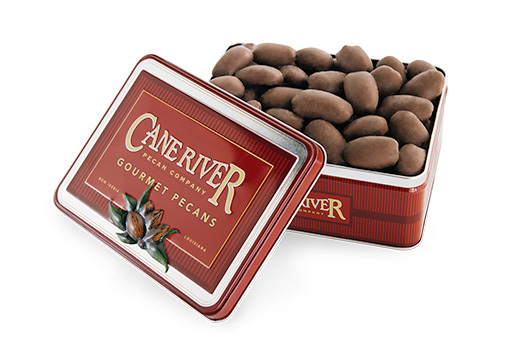 Each tasteful variety is nestled in its own compartment of our colorful, embossed Cane River gift tin. A truly delicious and tasteful gift. When I first tried the chocolate covered pecans I was hooked and almost couldn't turn to the other flavors but I was equally pleased with both the Praline Pecans and the Roasted & Salted Pecans. Purchased the trio for an executive gift and it was perfect. We enjoy offering local company product for our most important guests! Thanks! Fabulous job as always! And wonderful timing on the delivery. It's no wonder why I recommend them to everyone and why my family has been buying for generations! The pecans are all large and delicious. A reliable Christmas gift for everyone, including family. I usually order for my all in my family, but much to my chagrin the ordering process was changed from last year--unless I created an account which I am not a business and do not need to do. Owner Response:Creating an account with Cane River is not only for businesses, it is designed for anyone who has a list of people they would like to send pecan gifts to or for anyone who wants to keep their billing information on file for quicker checkouts. These are just a couple of beneficial features of creating an account. Someone sent these pecans to me last year and they were the BEST pecans I have EVER had! So I saved the name and sent them to one of my friends this year. She raved about them too! My family loves these! They look forward to them every year. Beautifully packaged, quality pecans and fast delivery! The pecans were so fresh and delicious!! Top notch!! The folks I ordered this for were very pleased and have devoured most of the pecans before Christmas. This was given as a gift to three different people and everyone responded with pecans in their mouths saying how terrific they were. I will definitely give these tins again! Dec 27, 2014 | By Doug Manship Jr. Your pecans were great, as usual! 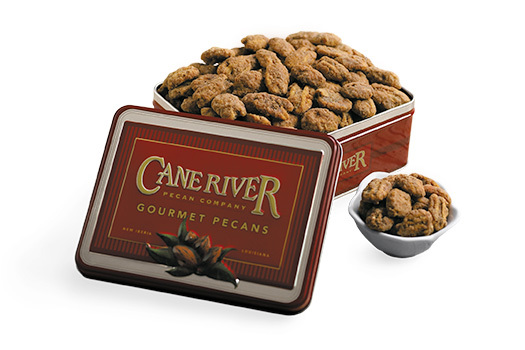 This was my first time ordering Cane River pecans for the family. Our office has received them as gifts the last several years. They are absolutely the best pecans we have ever had! The Pecan Trio is the perfect combination of chocolate, salty and sweet!! LOVE THEM!! Ordering was easy. The pecans arrived well packed and in amazingly short time. Now they are off to France to be given as a gift to a dear friend. I thought it might be akin to carrying coals to New Castle, but I don't recall eating many pecans in France so hope it will be a fun gift for my friend. I won a tin of pecans a few years ago and they were so good I've been buying them as gifts ever since. Outstandingly good! We shipped the pecan trio to some very special friends in New Jersey! They were so excited & appreciative that they sent us a video of when they opened the package. .. They love the pecans!! 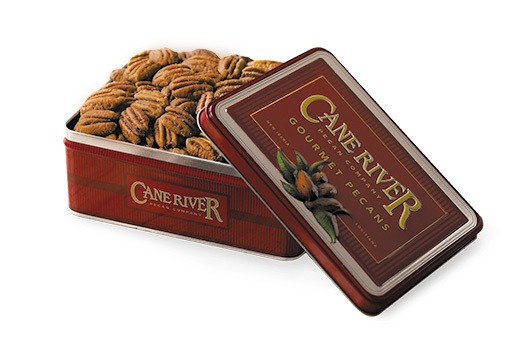 My husband and I gave Cane River's pecan trio for Christmas gifts to all of our out-of-town friends. We had Cane River ship to them (which was really easy to do online) and EVERYONE we shipped them to called us saying how wonderful they were (one man even said he went online and ordered more). 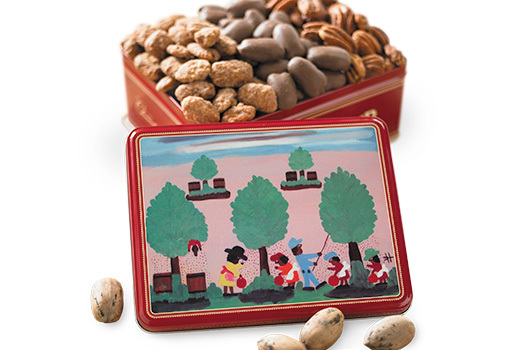 This is a great gift because it gives three different kinds of pecans - so EVERYONE will enjoy it. We are going to send this EVERY year. It's a great gift and Cane River does a great job shipping! We purchased these as gifts for our vendors, customers and employees. They are a big hit with everyone!! Thank you for the quick turnaround on the order. We will be ordering from you again in the future!